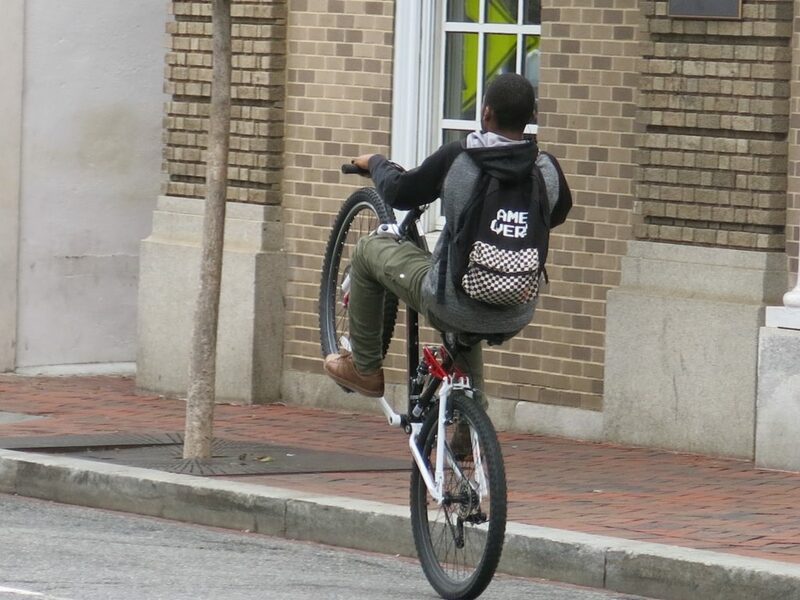 This guy wasn’t just popping a wheelie – he was riding this way the entire time – uphill on Wisconsin Ave. Respect! !